Although many businesses have begun moving to DevOps-style processes, eight out of 10 respondents to a new survey say they still have separate teams for managing infrastructure/operations and development. The study by managed cloud specialist 2nd Watch of more than 1,000 IT professionals indicates that a majority of companies have yet to fully commit to the DevOps process. 78 percent of respondents say that separate teams are still managing infrastructure/operations and application development. Some organizations surveyed are using infrastructure-as-code tools, automation or even CI/CD pipelines, but those techniques alone do not define DevOps. Nearly 60 percent say they are using infrastructure-as-code tools (such as Terraform, Configuration Management, Kubernetes), but 38 percent are managing infrastructure manually, which means not only are they not practicing DevOps, they aren't managing infrastructure in a way that will ever be compatible with DevOps. "In order to transform a business into a DevOps organization, companies should work towards bringing separate operating groups together as a single team," says Jeff Aden, EVP of marketing and business development at 2nd Watch. The survey also asked about development and deployment. Although 75 percent of respondents say they are doing some form of consistent testing, the remainder have little or no testing of code in place at all. 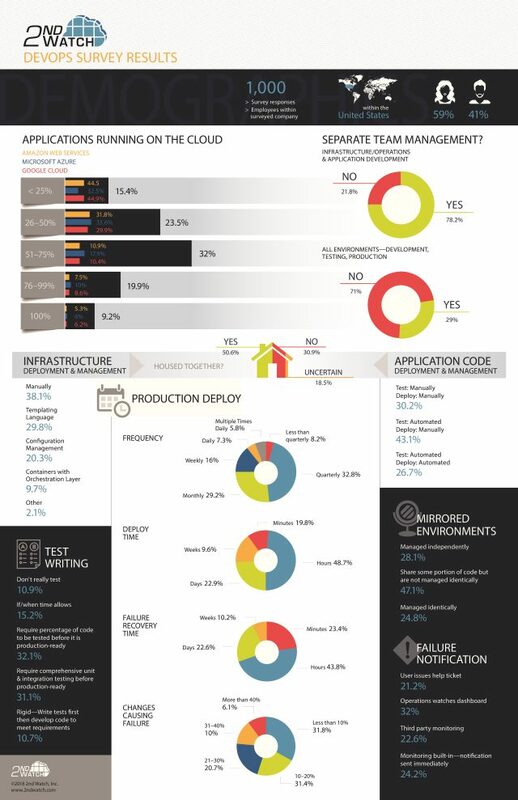 When asked how application code is deployed and managed, around 30 percent of respondents indicated they are using a manual process for deployment, and the remaining 70 percent are using some form of an automated pipeline. While the 70 percent figure is a positive sign for companies that want to embrace DevOps, the remaining 30 percent will have to build-out automation around testing, building and deploying code. Monitoring of failure is also lagging behind DevOps standards. Over 21 percent of respondents say they are notified of outages by the end user -- a surprisingly high percentage for large companies. Another 32 percent say that, "someone in operations is watching a dashboard," which isn't as surprising but still not ideal for a DevOps approach. Only 23 percent are using third-party tools like New Relic and Pingdom to monitor their apps, and 25 percent have built in monitoring that sends immediate notifications. 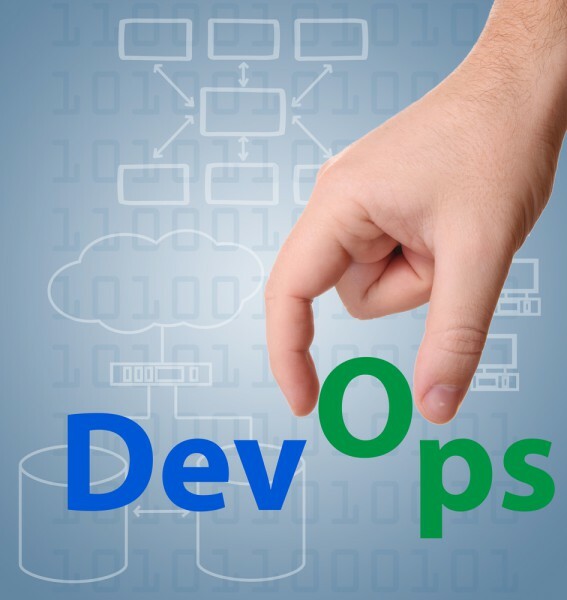 "The results reveal the 80/20 rule, where slightly more than 20 percent of respondents are actually engaging in DevOps in its purest form today," says Aden. "There is still a tremendous opportunity for companies to modernize their organizations to accelerate development and remain competitive in the marketplace." You can find out more on the 2nd Watch blog and there's a summary of the report's findings in the infographic below.